The Carrollwood Winds is a concert band comprised of local community members who are committed to performance. The band performs a wide range of literature at the high school and college level. Members of the band are not beginners or novices, rather members of the community with band experience who are looking for a venue to continue their craft. The Carrollwood Winds performs at the Carrollwood Cultural Center four to five times throughout the year and is branching out to other community and educational venues as well. For more information, please contact Reed Stricsek at winds@carrollwoodcenter.org. 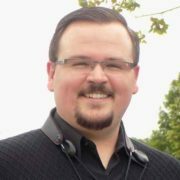 Reed Stricsek graduated with a degree in Music Education from The University of South Florida and is currently Director of Bands at Freedom High School in Tampa, Florida. While at USF, Reed had the unique opportunity to perform with the Symphonic Band, Wind Ensemble, and USF Symphony Orchestra. In 2014, Reed was able to travel with the USF Wind Ensemble to New York City and perform at Carnegie Hall where their live recording was made into a compact disc. Since 2012, he has taught private and group saxophone lessons and has been called upon to be a saxophone specialist in public schools around the Tampa Bay Area. In addition to teaching in the public school system, he has been asked to do masterclasses at USF summer camps, Festival of Winds, and the Wind Techniques class held at USF. Reed has also performed with the Carrollwood Cultural Center Winds since January of 2017 and is extremely excited for what is in store for this ensemble.